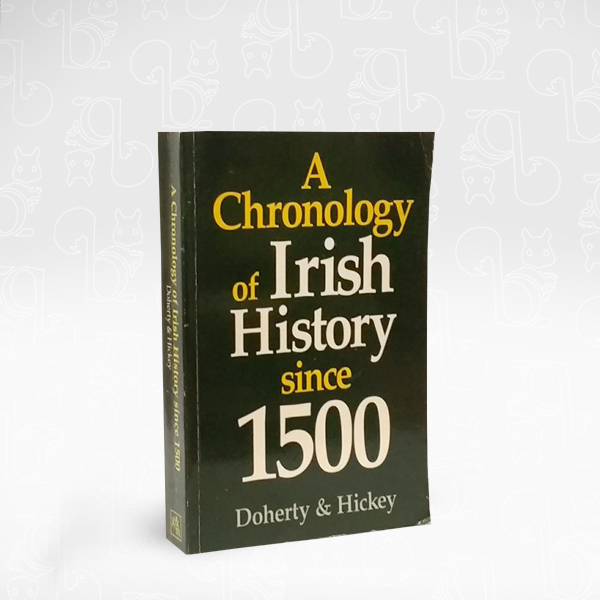 A Chronology of Irish History since 1500 is a valuable addition to reference publishing in Irish Studies. It offers both the scholar and the general reader a chronology of Irish history, social and economic life, and literary and artistic achievement from the beginning of the sixteenth century to the present day. The book is arranged on a year by year basis. Within each year, the significant events of Irish life are listed by date in chronological order. Thus the reader or researcher can learn at a glance that in 1866, the Habeas Corpus Act was suspended in Ireland on 17 February; that Archbishop Paul Cullen of Dublin was created the first Irish cardinal on 22 June; that on 27 July the first submarine cable link between Valentia Island, Co. Kerry and Trinity Bay, Newfoundland was completed; and that on 17 December James Stephens was deposed as head of the Fenian Brotherhood in the United States, to be succeeded by Colonel Thomas J. Kelly. All this information is, in turn, collated in the extensive index which enables the reader quickly to discover the correct reference point for a person or event even in circumstances where he or she is uncertain of the exact year in question. In the case of particularly dramatic years in Irish history, such as 1798 or 1916, the authors give an extended date-by-date account of the unfolding events. “A Chronology of Irish History since 1500” will become an essential reference tool for all who are concerned with Irish history, literature and culture.